Mommy, are we ready for Passover yet? Ask Rebbetzin Heller: How do I Raise Happy Jewish Daughters? 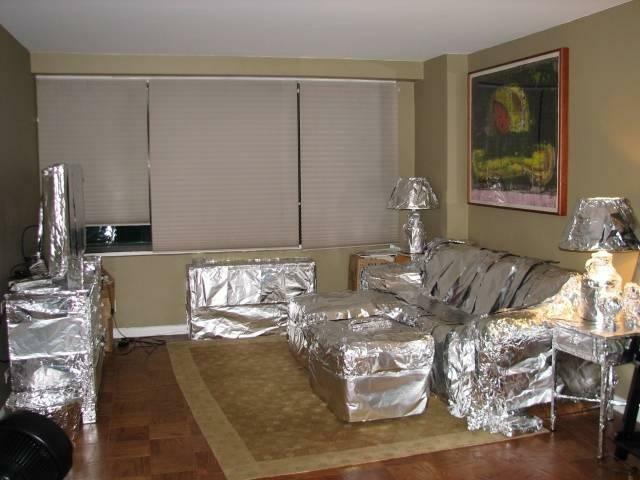 this is what happens when you tell your cleaning lady “cover everything in aluminum foil” and then you breeze out the door! moral – stay home with your cleaning lady! Sounds almost like Amelia Bedelia! I saw this last year, and I didn’t get it for a minute, I thought, OY, some Jews get totally carried away on Pessach! I burst out laughing only after I did a double take. You are much kinder than me though: You blamed it on the cleaning lady, and I blamed it on a zealous balabusta! I have seen and enjoyed this before! I would love to know which brilliant photographer gets the credit. this is just too funny!!! and as much as i’d love to think that it’s all just a spoof… sadly, i’ve seen the real thing more times than i’d care to recall…. I cannot believe this is real!! My kids will certainly get a kick out of it… – she certainly DID cover everything – what a thorough cleaning lady you have! 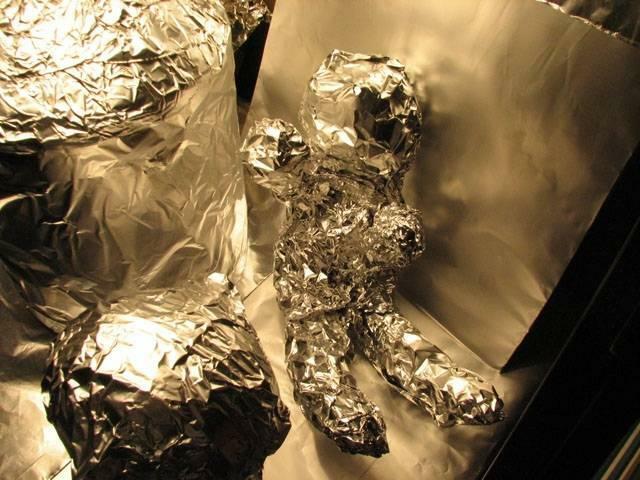 But what a waste of foil, dontcha think? 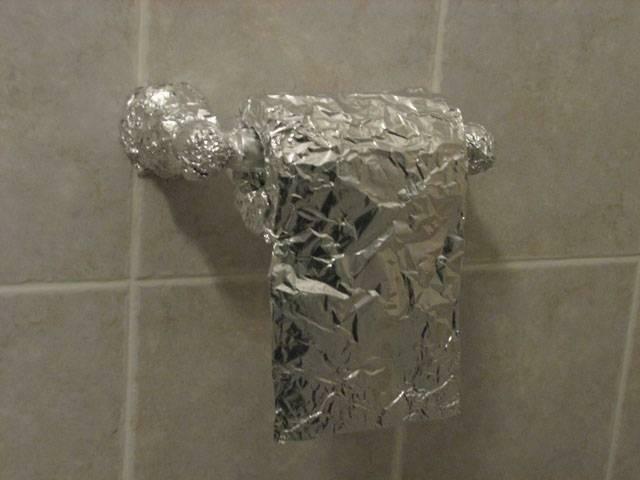 Just makes me ponder to what lengths people will go to get a laugh on the internet. Thanks!!!! I really needed the laugh!!! Here is one for all of you. 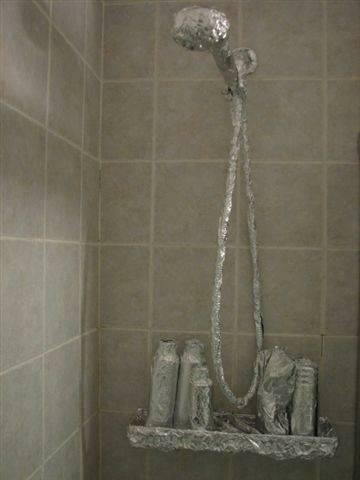 A few years ago -while I was home –but on the phone, I discovered that my cleaning lady vacuumed the entire upstairs without plugging it into the electrical outlet!! I then learned to be VERY CLEAR with ALL directions. Enjoy the rest of Yom Tov!!! 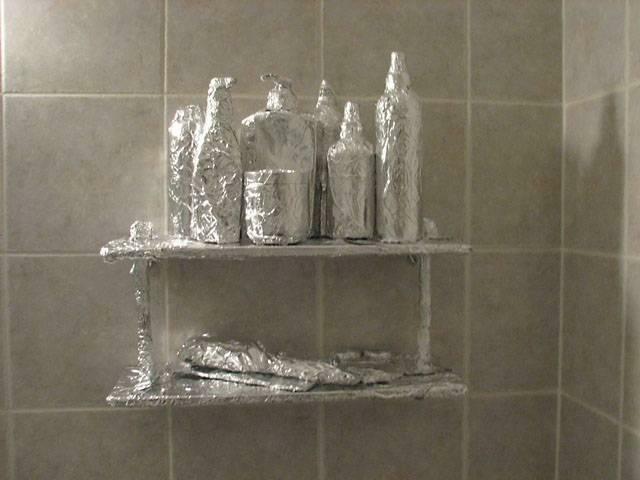 i save these photos so that every year, when my DH gets overzealous about covering things for Pesach, i show them to him so he can get some more “good ideas”…. Thank you so much for the inspiration, thought, joy and sometimes laughter you bring daily through this blog, your emails and your Facebook site. I hope you don’t mind, but I have re-posted a couple of these photos to my own blog post. I made sure to site that I found them here. May you have a meaningful and happy Pesach! no problem, the photos aren’t mine. I just received them in an email. If anyone knows who made them, please email me, I would love to give that person the credit they deserve! 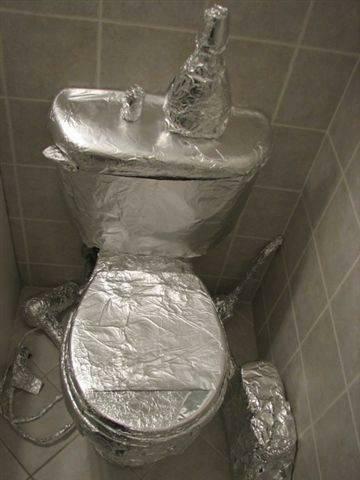 this tin foil frenzy was totally me back in the early ’70s well almost…we tin foiled like crazy–I think they call it Obessive Compulsive Disorder..Now I would like to think too bad I didn’t have any stock in Reynolds Aluminum or at least work for them. 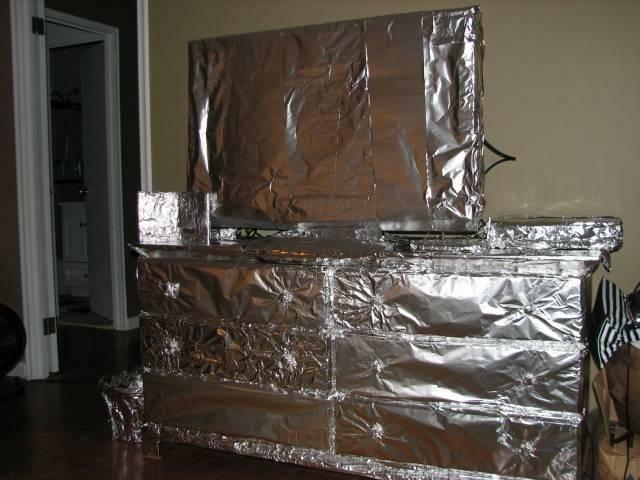 Perhaps if I worked for them I would have gotten a life time supply of their tinfoil…Fast forward, this pesach 5772, a bit of tin foil here and a bit there, definitely toned it down big time..after all pesach wouldn’t be pesach without tin foil and lots of white paper…….. Check out this new passover video on youtube. Its filmed in Israel and very inspirational music! SPOILER ALERT!!! What a great song! Too bad though, I must forewarn potential viewers that it is mamash not btzniut. Such a chaval. It seems to contradict the message, and I don’t get why the video was designed this way. It honestly barely portrays the point, and all these scenes with a scantily clothed lady tapping on shoulders of Kippah clad men serves as a confusing distraction. They look in her pocketbook which is where this supposed light is, and then — they make a run for it. If I were to guess (without the subtext explanation there), I would have said she was showing them a snake or a handgun, the way they ran!I am trying to follow the lyrics and the supposed unfolding theme and it did not happen. This messenger-lady is described as “cherubic.” Ummm – Yeah….